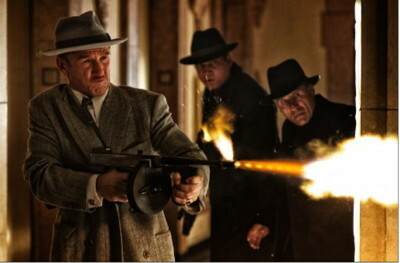 Pin striped suits, fedoras and tommy guns – Hollywood’s latest addition to its film noir canon is Gangster Squad, featuring a prestigious and mostly macho cast led by Sean Penn as sinister mob boss Mickey Cohen. The story charts the LAPD’s battle to keep east coast Mafia types from forming an organized crime foothold in Los Angeles during the 1940s and 50s. An illegal intimidation unit, known privately as the ‘Gangster Squad,’ was formed within the corrupt LAPD and was led by Sgt. 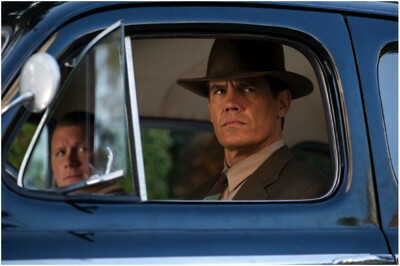 John O’Mara (played by Josh Brolin) and officer Jerry Wooters (Ryan Gosling). Early footage showed Penn playing Cohen with a ruthless ferocity, his fiery, violent persona undiminished by the layers of prosthetic makeup. Eventually he comes up against members of the squad, who are played by Anthony Mackie, Michael Peña, Giovanni Ribisi and Robert Patrick. Sassy ‘it-girl’ of the moment Emma Stone co-stars as Mickey’s moll who, predictably, falls for Gosling’s staunch copper. For the reportedly $70-plus million movie, Cohen’s hangout and HQ, Slapsy Maxie’s – one of Hollywood’s top nightclubs during the 1940s – was recreated inside a cavernous and long abandoned grocery store in Bellflower, a middle class suburb in south east LA. When I visit the set, the downstairs area has been converted into glamorous 1940’s era nightclub set, replete with art deco detail. Upstairs is the heart of Cohen’s bookmaking operation, including a wire room and a floor-to-ceiling blackboard charting the results from every racetrack across the States. 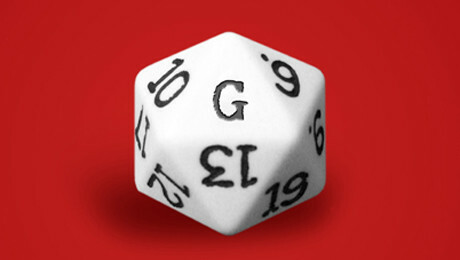 Today’s shoot has several squad members disguised as musicians busting up Mickey’s bookmaking operation. Brolin, sporting a crisp tuxedo, stands sentry as Mackie tosses a stunt man through a plate glass window. Three cameras (including a steadycam) are in place to capture the action. They need to get it in three takes as there are only two replacement windows. After the first take, the window is reset within 20 minutes. Take two is extra violent, with the stunt guy tumbling into three extras working the phones. Mackie seems to be keeping morale high on set with loud chatter and comedic posturing. Gosling is not in this scene, but later he strides past me with his felt hat pulled low, twirling his handgun. Donning the natty suits of the 1940s and wielding a variety of weaponry, Josh Brolin heads a team of no-nonsense police enforcers hell-bent on taking down one of the most dangerous mafia bosses of the twentieth century; Mickey Cohen, as portrayed by Sean Penn. Brolin plays Sergeant John O’Mara, who is recruited by a gravelly-voiced Nick Nolte as Police Chief Bill Parker to lead a secret undercover squad of uncorrupted police officers. Under the direction of Ruben Fleischer (Zombieland), Gangster Squad is a vivid and violent retelling of events surrounding the LAPD’s efforts to take back their city from ruthless, Brooklyn-born mob kingpin Mickey Cohen (Sean Penn) and his crew. Set during the late 1940s and 50s, and filmed at iconic locations such as Griffith Park Observatory, Downtown’s City Hall and Olivera Street and Grauman’s Chinese cinema in Hollywood, the gritty mean streets of Los Angeles may prove to be this noir movie’s biggest star. Though despite its gangster period flavor, the movie’s emphasis is set squarely on action. 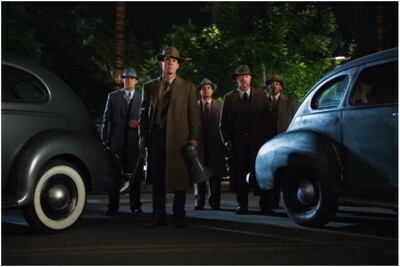 Gangster Squad is now playing in Los Angeles cinemas.